Okay, it is really do you speak Spanish (Mallorca) or English (Majorca) in the way one spells it. But, since this island belongs to Spain, we will call it Mallorca (by the way both spellings are pronounced the same “My-or-ca”). 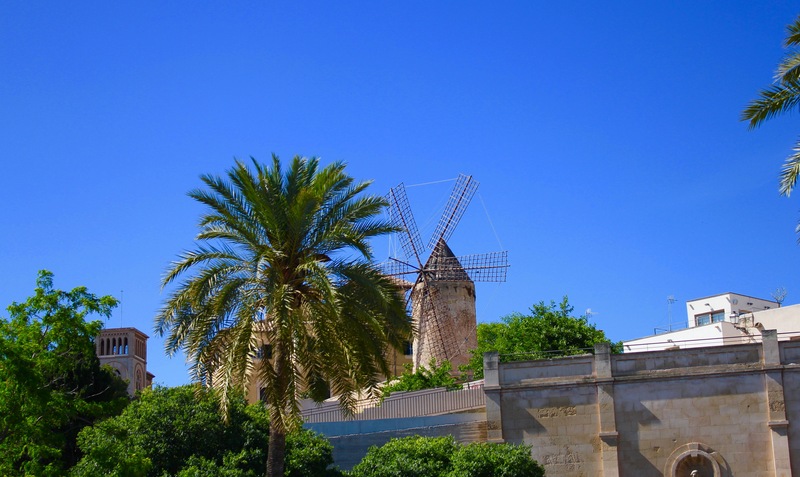 Another port of call during our May Mediterranean cruise was to the island of Mallorca and the city of Palma, its capital. Mallorca is the largest of a group of islands off the southeastern coast of Spain, and is an extremely popular island destination for many Europeans, especially Germans. From a historical perspective, the first inhabitants to Mallorca arrived around 8,000 years ago, and as one can imagine with its proximity to so many regions, many different groups have laid claim to the island over the millennia: Phoenicians, Romans, Carthaginians, Moors, and eventually the Spanish. The Moors inhabited the island the longest, giving explanation to the many Moorish-inspired architecture in the buildings found in Mallorca. With the Spanish Crusades, this island has belonged to Spain since the 12th Century. 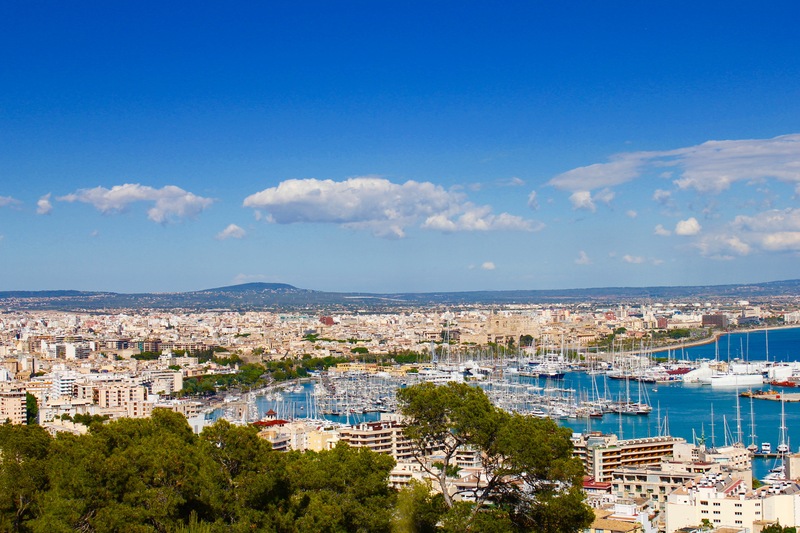 A stop on the hop-on hop-off bus takes you to a scenic overlook to Palma from a nearby elevated hill top that gives one a sense of densely populated Palma is. Unfortunately for us, this was a short cruise stop, as we only had in total about 8 hours on the island. Rather than taking an excursion organized by the cruise line, we decided to explore the city of Palma, since we were docked right in its harbor. What made this decision easy is that just outside the port terminal is a bus stop for the Hop-on-Hop-off Tours that are common across many popular cities (at least in Europe and in New York). 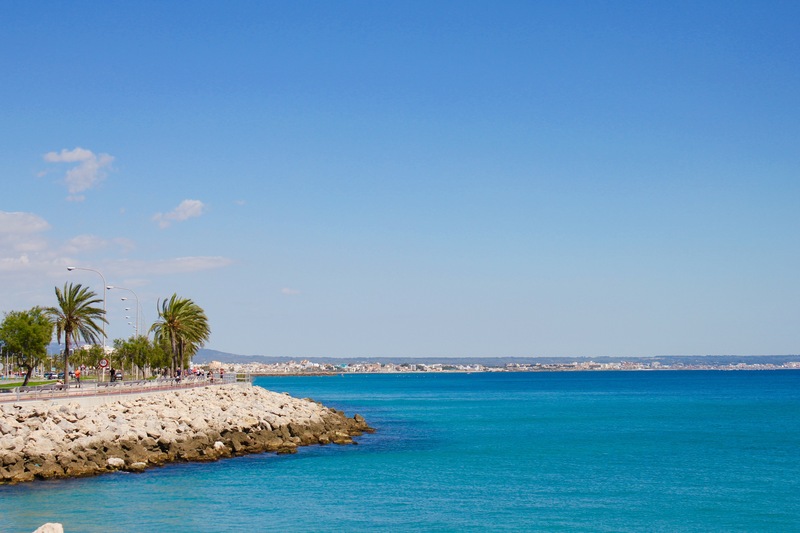 It is super easy to take this bus, as one arrives at each stop every 15-20 minutes, and it takes about 90 minutes to complete the full loop around Palma, passing by many of the main attractions in the city. So, for about 12 Euro, you take the bus, get off to tour a spot, get back on, and continue until you make it back to the ship. 13th Century Olive Oil Mills. TIP: If someone does take the same bus here in Mallorca, give yourself plenty of time to get back to the ship just in case the bus gets stuck in traffic, as the bus cannot call ahead to the ship if you are late. Palma Cathedral. Built between 1229 to 1346 and larger than Notre Dame in Paris. 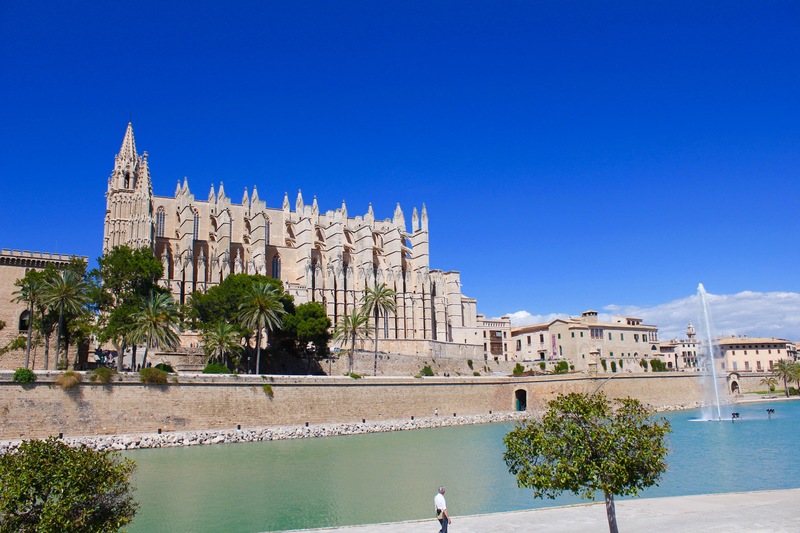 The most impressive sight we saw, next to the beautiful water itself, was the Palma Cathedral. While we did not do this, it is possible to take a taxi to and from one of the many local beaches, if you desire just to relax on the beach or if shopping is your thing, then there is a large mall nearby the cruise port, as well with many different restaurants to choose. Admittedly, from our short time at Mallorca, this was not our favorite place that we have been, but I am sure our minds would be convinced otherwise if we had visited one of the many nearby resorts. 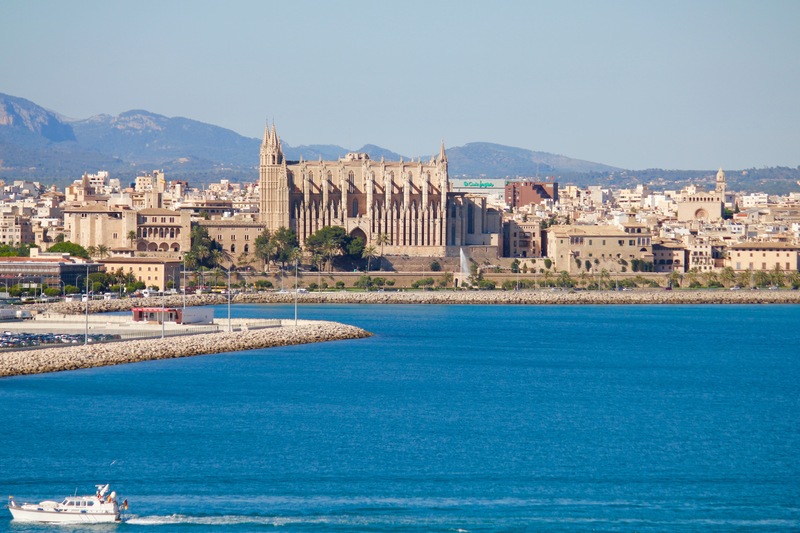 But, if you are on a cruise and are debating what to do, then I recommend to at least take the Hop-on/off bus to at least see the sights of Palma. Stunning photos! 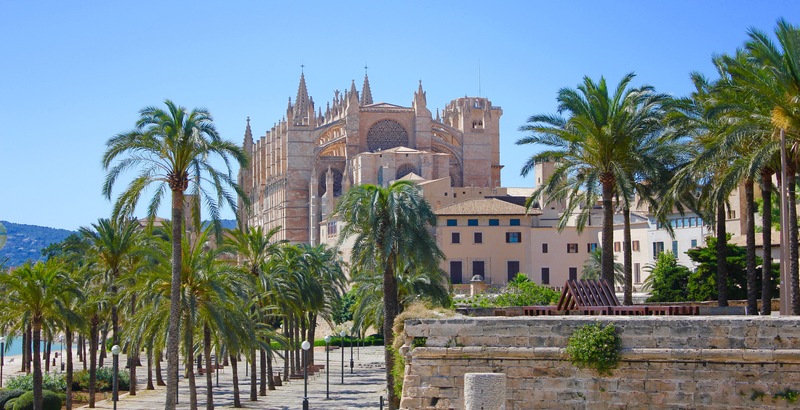 I loved Palma, and would also recommend the bus tour – great way to see the city!